The Swing Era, usually thought of as the late 1930s to the early 1940s, is that one unique time when jazz was America's pop music. While this is not the place to go into the history of that period or its precedents, suffice it to say that the bands of say, Benny Goodman, Artie Shaw, Glenn Miller, Jimmy Lunceford, Count Basie and Duke Ellington, to produce an arbitrary list, each had and has diehard fans who will declare them to be the "best." For who wish to learn more about the origins of jazz up to around 1945, there are nothing better than Early Jazz and The Swing Era by Gunther Schuller and Lost Chords by Richard Sudhalter. The above is an introduction to the world of trumpeter Joe Smith and his Denver-based six piece band, The Spicy Pickles, whose mission is to bring to today's audiences the music of the Swing Era. However, they do not play retreads of old charts, but rather new tunes written and arranged authentically in the style of that era. 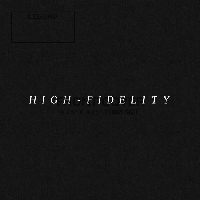 Their latest album, High Fidelity is a no- nonsense, killer-diller set of twelve originals that are irresistable in getting people up and, if not dancing to, moving and swaying to the music. Comprised of Joe Smith on trumpet, Prescott Blackler on trombone, Elijah Samuels on clarinet and tenor saxophone, guitarist Al Scholl, bassist Adam Sammakia, and drummer Joseph Chudyk (who also plays vibes on one track), the Spicy Pickles knock it out of the park. While clearly belonging to the present, this music channels all of the energy and pure joie de vivre that the bands of old had. Sounding much larger than six pieces, much of the credit must go to the rhythm section of Scholl, Sammakia and Chudyk, not to take anything away from the soloists or the arrangements. This is one tight unit that knows how to keep the energy high and moving forward. Those who know the music of the Swing Era will hear lots of direct allusions to this or that tune, but that is just the icing on the cake, because it is the entire feel of that music and time that is (re-)created. The band is clearly having a lot of fun, too, as can be seen from the videos here. So put on your dancing shoes and swing out to Joe Smith & The Spicy Pickles! Track Listing: Slow Cookin'; Obviously; The Pen Is Mightier; The Baltiquerque Stomp; Benny's Blues; Chubby's On The Way; Chelsea After Dark; Gin & Tonic; It's Alright For A Night; Dark Elixir; The Gherkin Train; Slow Cookin' (reprise). Personnel: Joe Smith: trumpet; Prescott Blackler: trombone; Elijah Samuels: clarinet, tenor saxophone; Al Scholl: guitar; Adam Sammakia: bass; Joseph Chudyk: drums, vibraphone (track 3).